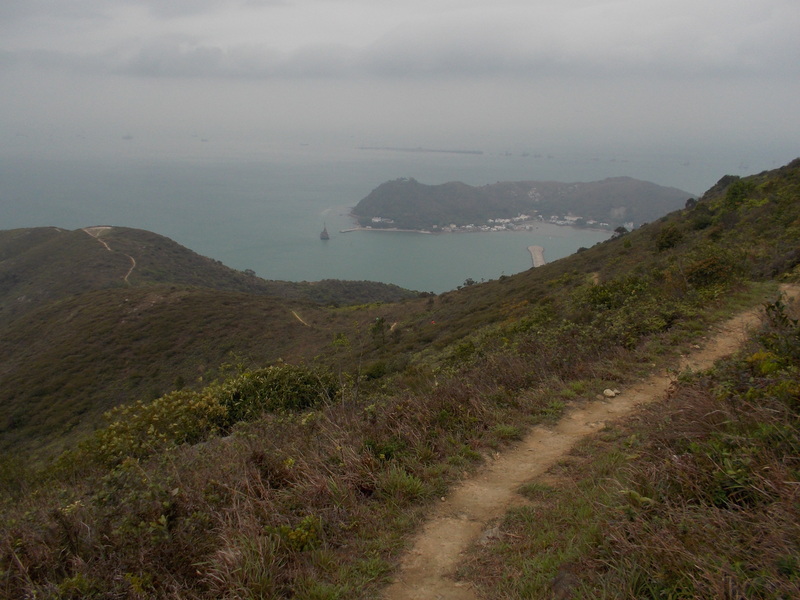 After running, jogging and walking for sixty (60) kilometers and after covering a distance of 4-5 kilometers from Tai O Village, the trail route leads to a single-track trail which is surrounded by grasses, shrubs, rocks, and small trees. 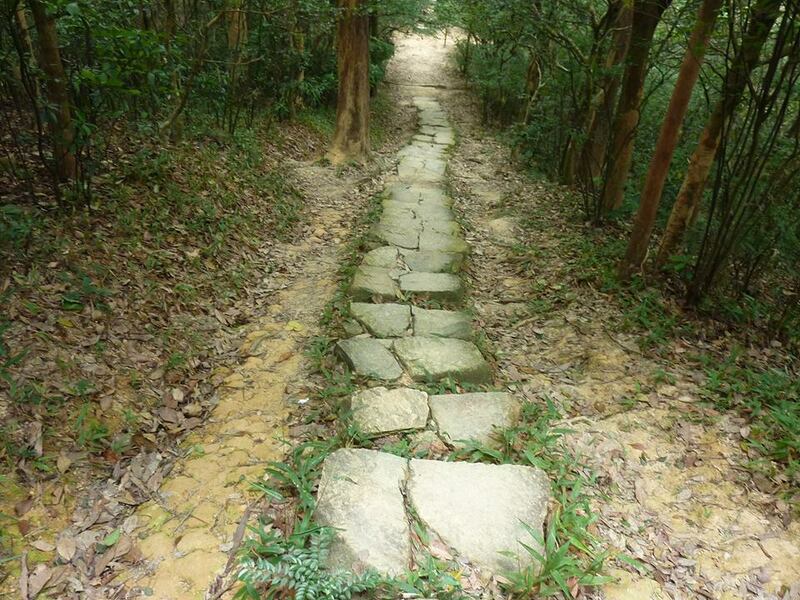 One has to veer right from the cemented path/road and start an uphill climb on this trail. 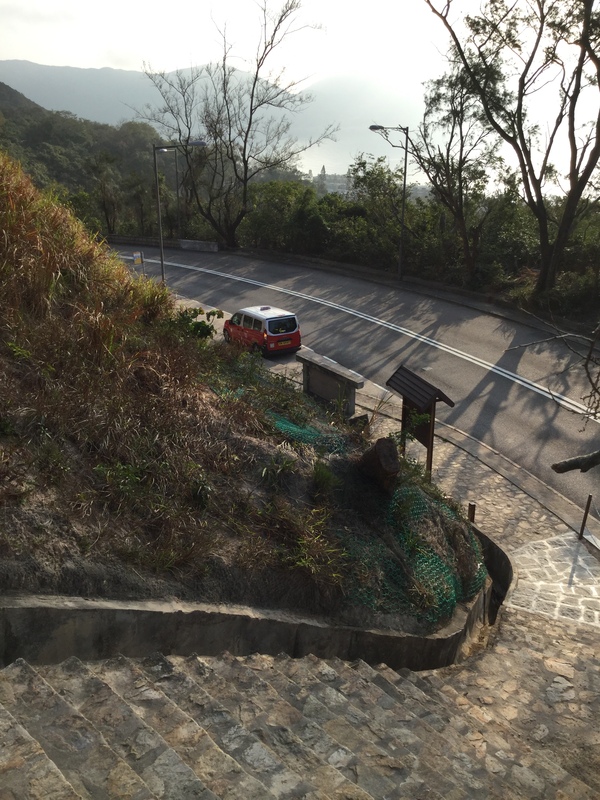 This is about 2-kilometer uphill and very steep climb towards the Cable Tram that goes to the Big Buddha. 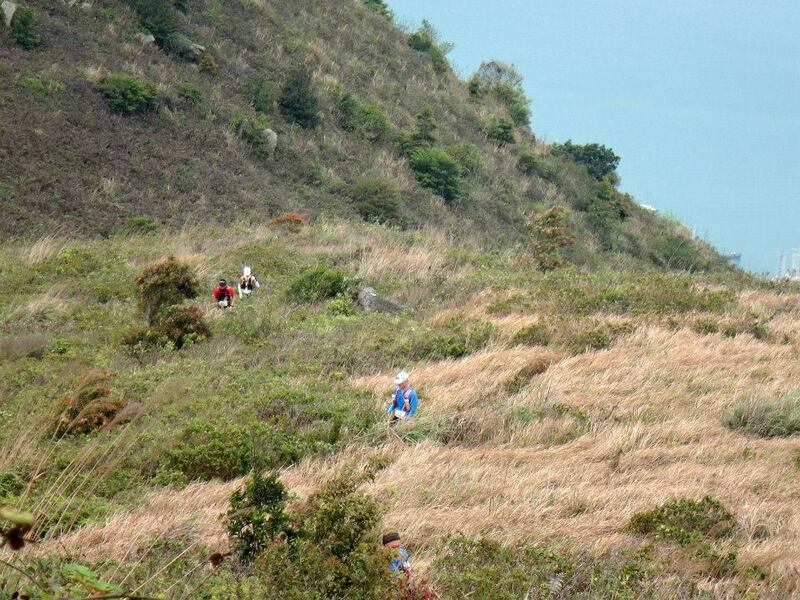 In order to appreciate the beauty of the landscape and the scenery that one can see as you go higher on the trail, I was able to discover these photos/pictures which were taken by Lai Lam Po of Hongkong and posted in the event’s website. 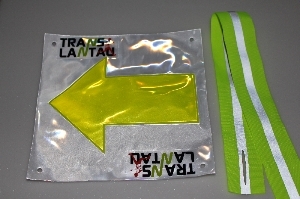 These pictures will also serve as a reference for this who are planning to join in the next edition/s of the TransLantau 100 Trail Run. 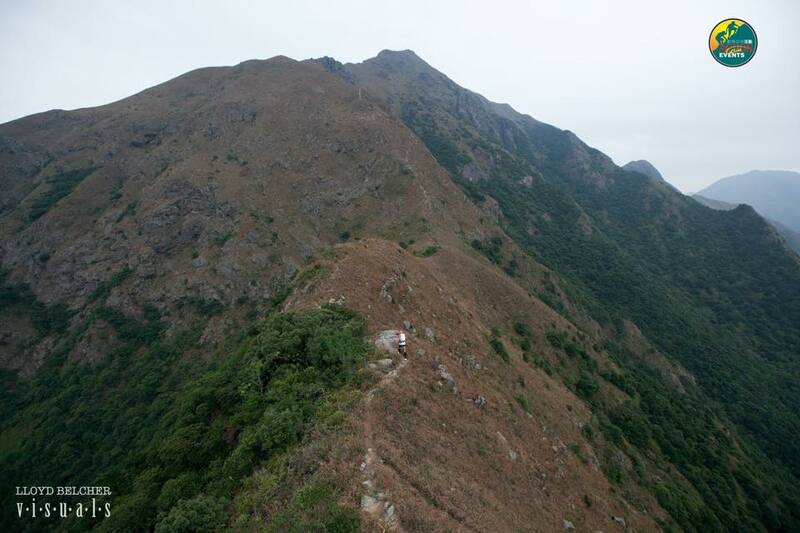 These pictures were arranged in this post from the start of the Shek Pik Trail up to the trail leading to Ngong Ping. These pictures were taken by Lai Lam Po. Happy trail running and hiking! 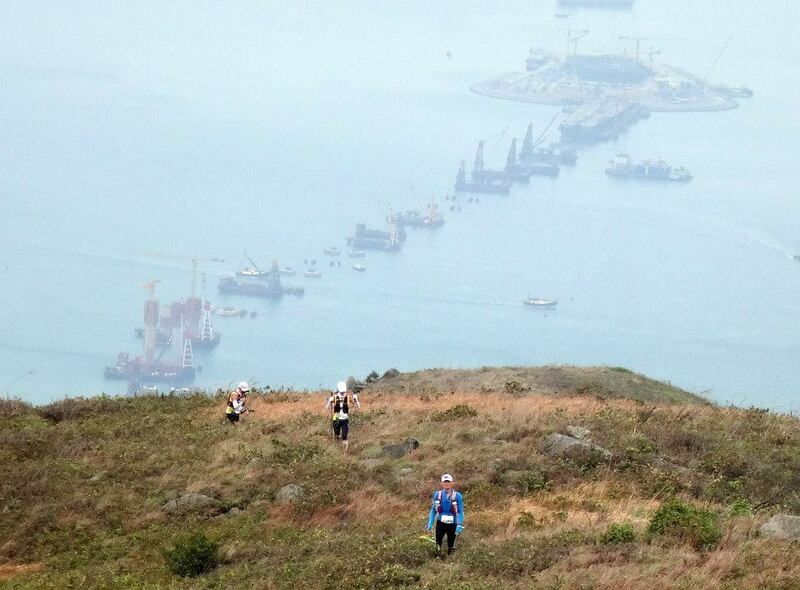 When everybody was still sleeping on the early morning of the First Day of the Year 2015, a “low-key” ultra marathon race event was about to start in Hongkong. 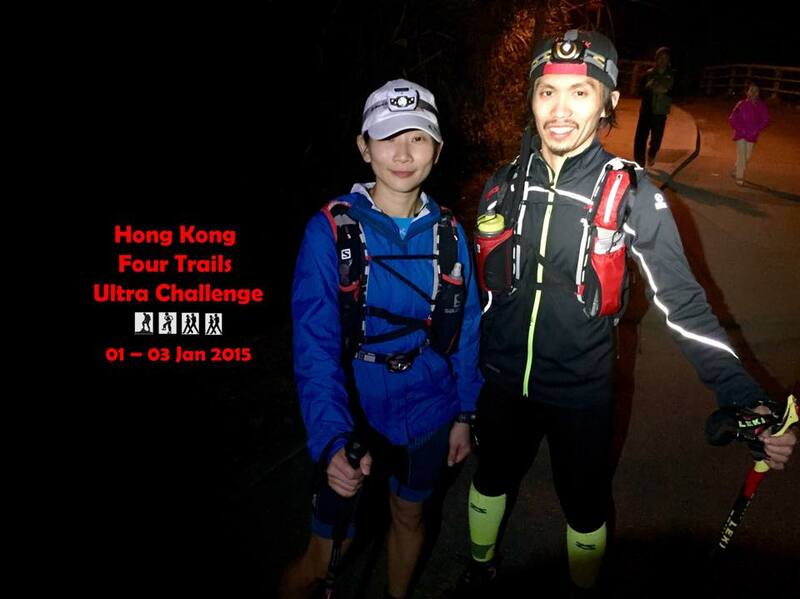 The ultra event is called the “Hongkong Four (4) Trail Ultra Challenge” (HK4TUC) which had been founded and organized by Andre Blumberg, a German executive based in Hongkong who is a “par excellence” ultra trail runner who lately had finished the Grand Slam of Ultrarunning in the USA and the Lake Tahoe 200-Mile Endurance Run, the first 200-mile trail run done in the United States. 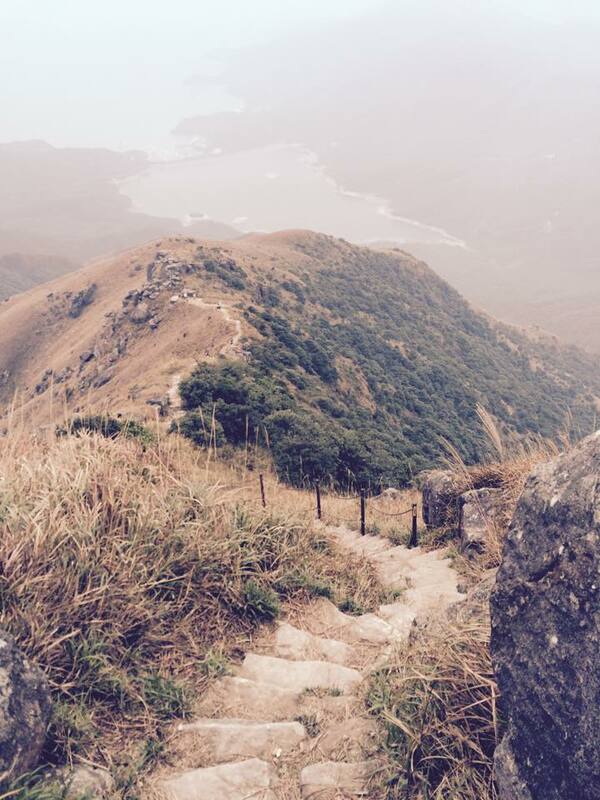 Andre Blumberg, five years ago, had to run the four famous Trail routes in Hongkong for four days, running each trail course each day. 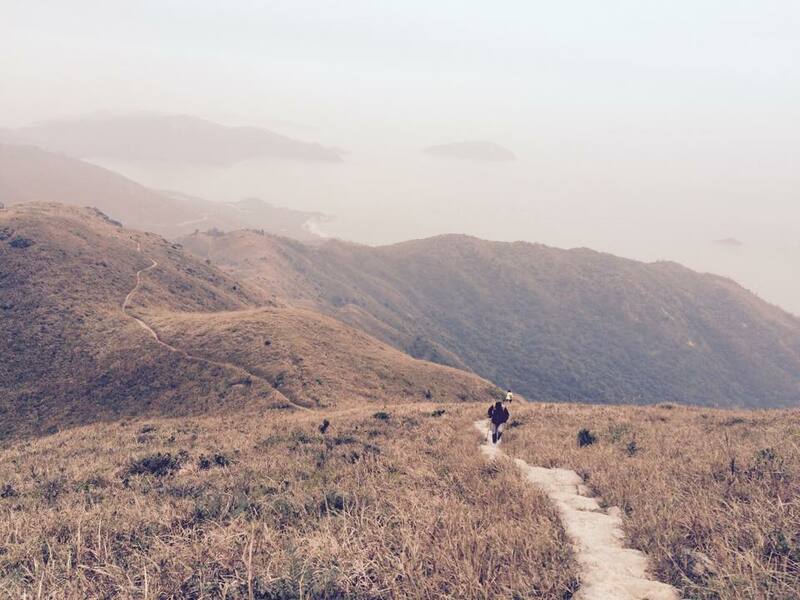 The following are the trails: MacLehose Trail with a distance of 100 Kilometers; Hongkong Trail with a distance of 50 Kilometers; Wilson Trail with a distance of 78 Kilometers; and the Lantau Trail with a distance of 70 Kilometers. The total course distance is 298 Kilometers. 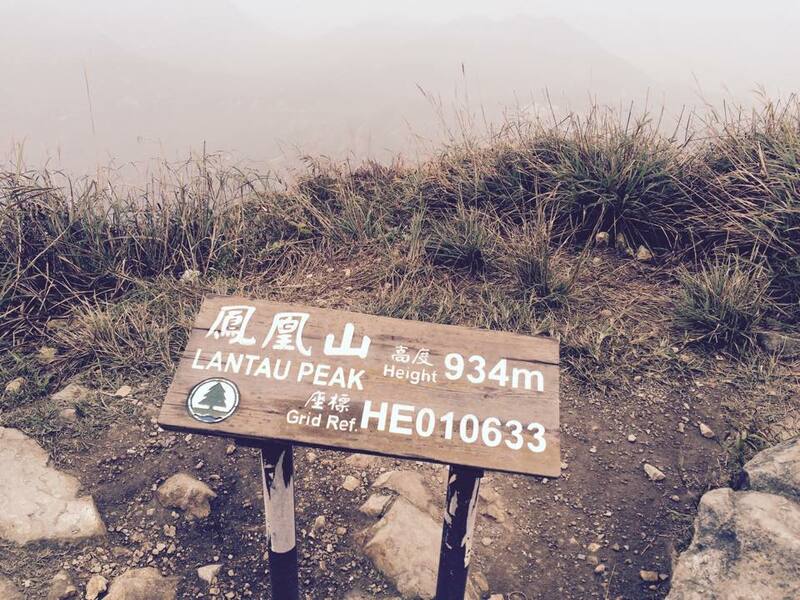 The total elevation gain is 14,500 meters! 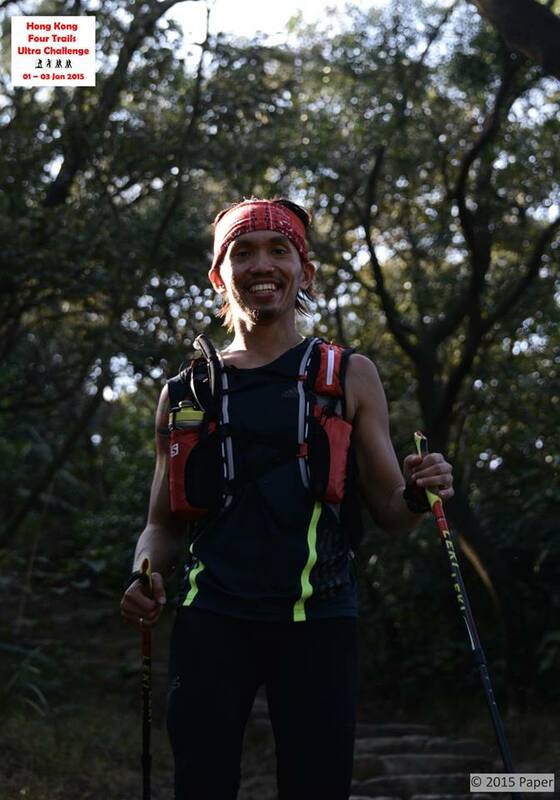 Andre’s feat in running these trails gave him the idea for the other ultra runners to experience the challenge, thus, the birth of the HK4TUC. 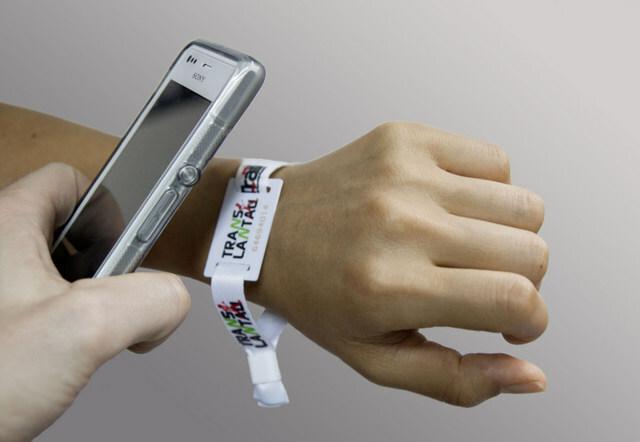 To make the event more challenging and exciting, he imposed a cut-off time of 60 hours and runners have to run through the trail courses on a reverse direction. 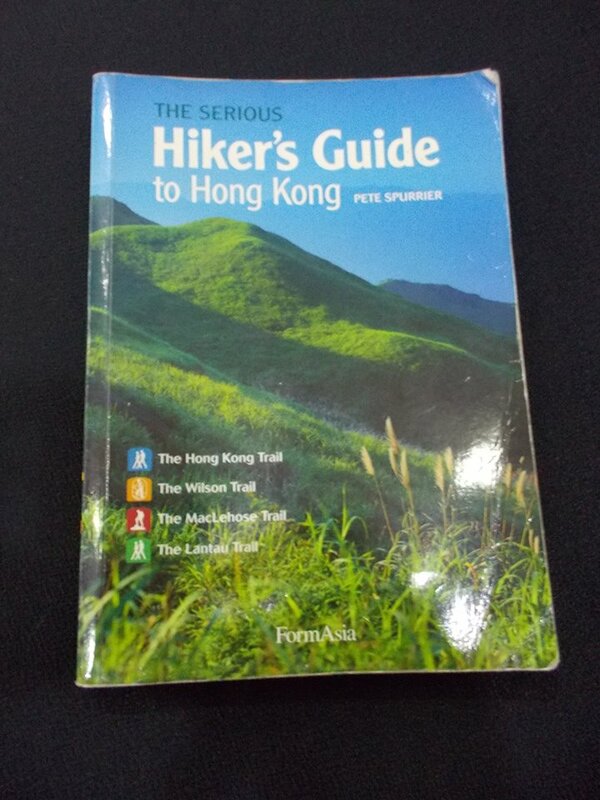 If the books or publications about the Hongkong Trails are presented on chronological Stages, from 1-10 or from Start to Finish, as the case maybe, the race event starts from the FINISH area and ends at the START area or from Stage 10 to Stage 1. The clock does not stop when the runners had to be transported from one trail course to another, by land or by the sea ferry. The event’s rules and regulations are very simple. There is NO Registration Fee, No Medals, No Finisher’s Shirt, No Aid Stations, No UTMB Points, No Competition or Rankings, and No Checkpoints. However, runners can take advantage of the convenience eateries/stores and vending machines along the route for their food and drinks. This is simply a “self-support” event. Bragging Rights is the only Prize for Finishing this Event. After four years of its existence and with an average of 4-5 participants each year, there are only four (4) finishers in this event since January 2011. 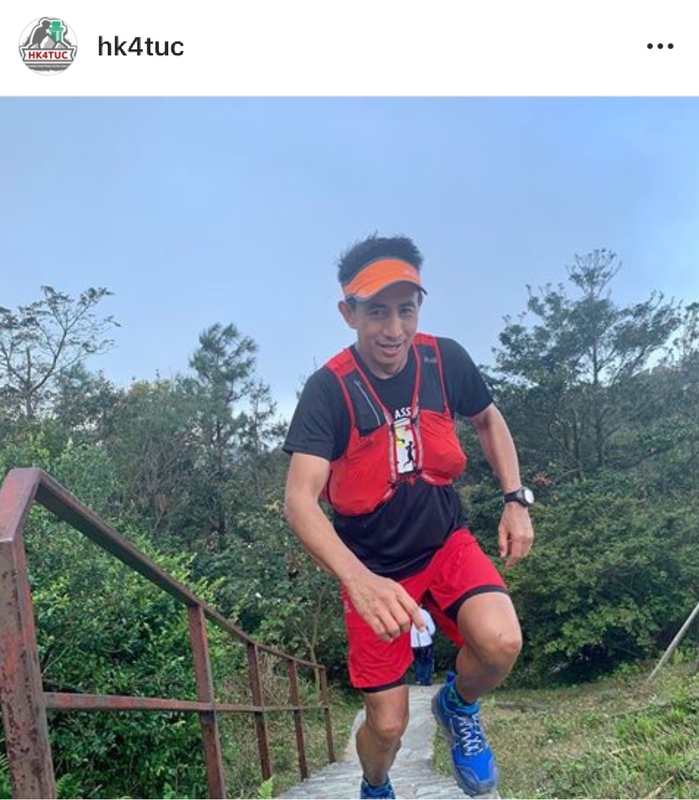 Jag Lanante is the FIRST Filipino to make an attempt on this most dreaded ultra running event and he is one of the four ultra runners who were brave enough to toe the line at the Starting Area in MacLehose Trail. I happen to know him by his name only through Facebook and had never seen him in person. But I have so much respect in him as I found out about his running accomplishments which I gathered from his Facebook Wall from the time we became as FB “friends” since the middle part of last year. I was sick with Flu (cough and colds) and I was bed-ridden for the duration of this event from Start to Finish but I would be able to glance and peep through my Laptop if my Internet connection is strong from time to time, most specially during midnight and early morning. 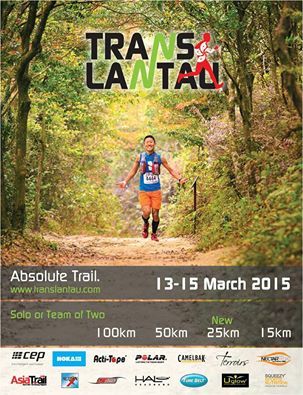 It was through the HK4TUC Facebook Page that I was able to monitor the progress of the event. Four ultra runners——Two Lady runners from Singapore (Jeri Chua, the favorite one to finish due his previous finishes in the Tor Des Geants and UTMB and Janelle Seet who would take numerous trips from Singapore to Hongkong to train and recon the trails for the past two years; One local runner from Hongkong (Paul Wong); and One Pinoy who is based in Bangkok, Thailand who happens to be Jag Lanante. Jag was considered as the “underdog” and the “weakest” among the four runners as he comes from a “flat and plain” Bangkok elevation whose training consisted of 500-meter loop course in a Parking Area in a Private Hospital in Bangkok where he works as a Nurse and he does his running in between his 9-hour work shifts, most of his running workouts are done in the early morning. 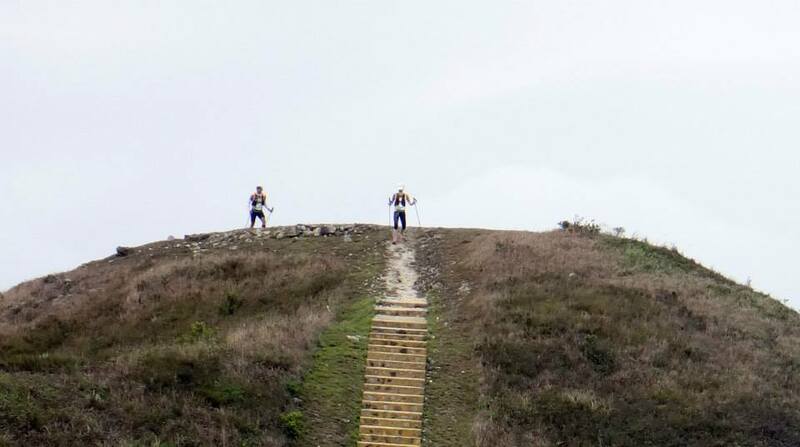 He would also sneak in and secretly pass through their Security Guards if he needs to use the building’s emergency stairs for his “stair climbing and hill repeats” just to put in some elevation gains in his routine. On his “off days” and weekends, he would go to a nearby Public Park which has a 2.5K loop (flat again!) and do his runs in loops where he would only take note of the number of hours he would run, however, his longest running time would be at least 6 hours. Worst information about him is that this trip for the event is Jag’s FIRST trip to Hongkong! 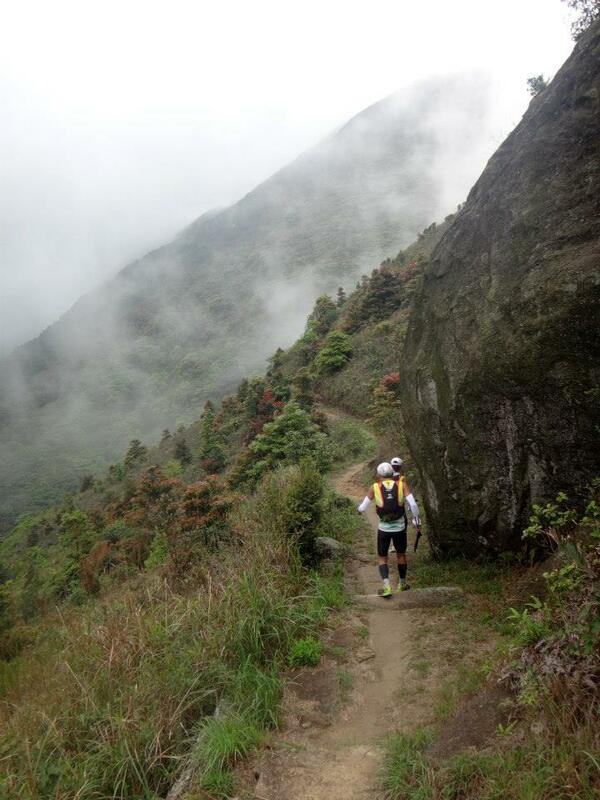 He is not accustomed to the cold weather environment of Hongkong and the hilly terrain of the course. He was equipped with his Salomon Hydration Backpack where he stored his food (all bread), water and extra clothing/jacket; a $7.50 worth of Casio Watch which he was using for the past 8 years; and a borrowed HOKA One One Tarmac Shoes! Initially, Jag did not have with him a trekking pole! 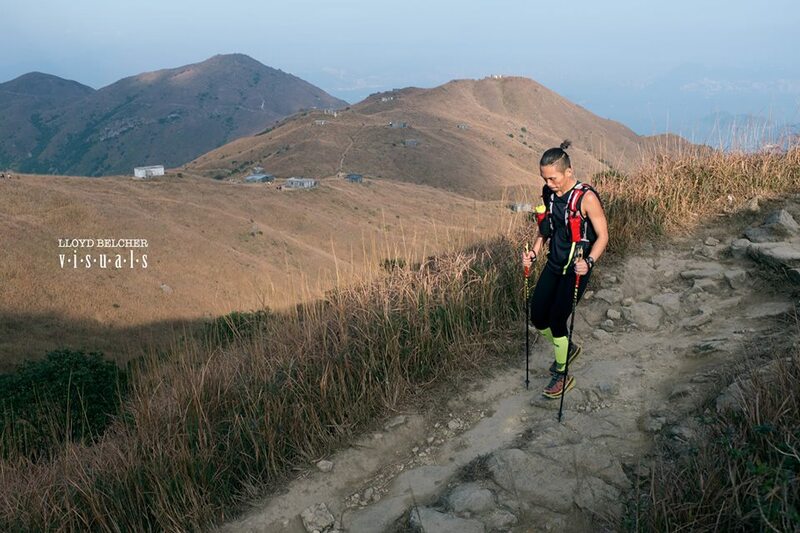 He would later borrow the trekking pole from one of the runners who DNF’d midway at the MacLehose Trail (1st trail course of the event). 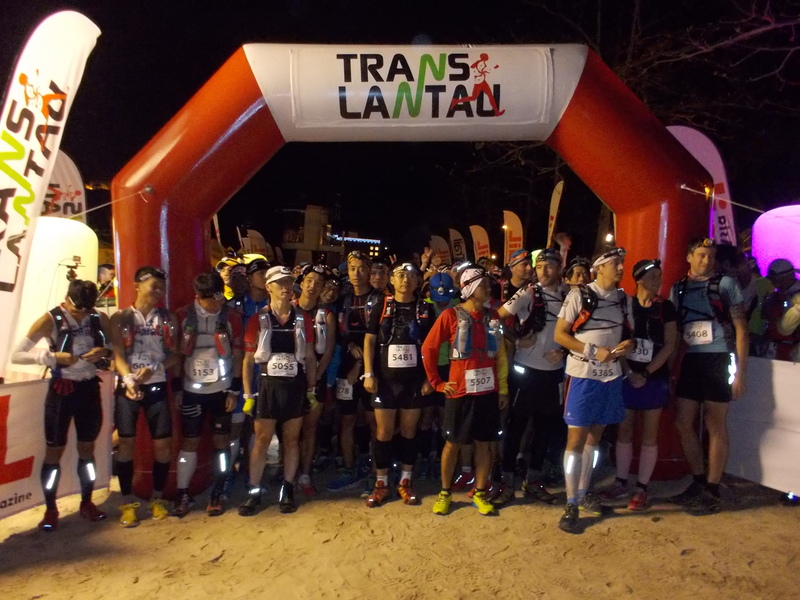 Right from the start of the course, he was already a complete picture/description of a “failure” of an ultra runner who would attempt to finish this dreadful and brutal event, a simple example of a DNF runner! And for this reason, my attention would be focused on the progress of Jag Lanante as to where he was during the event. I would make a bet to my “inner self” that Jag would “throw the towel” once he finished the Wilson Trail course (2nd Trail). So, I decided to close my laptop, took my meal, ingest my medications, and went back to bed. I said to myself, “there will be No Finisher” in this year’s event. I guess, I have to eat my words and committed a mistake of an early misjudgment on the capabilities of Jag! I found out that while I was sleeping on the first day of the year (due to the effect of my medications), the four runners started the event with a perfect Hongkong weather, blue skies and the sun shining hot providing a perfect running weather for the participants. 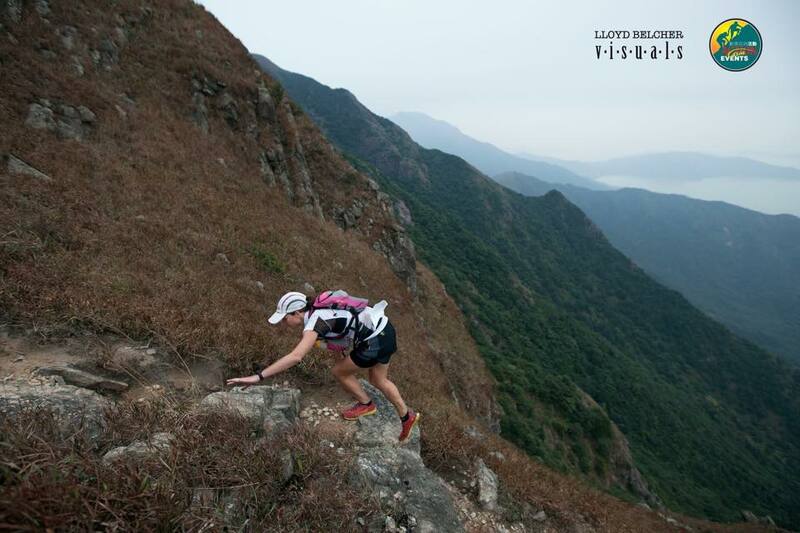 Jeri Chua from Singapore took an early lead from the other three runners and she was ahead of the expected time of arrival in every stage of the MacLehose Trail (in reverse, of course!) but surprisingly had to deal with her recurring knee injury which became very painful on her part and could hardly maintain her targeted pace. 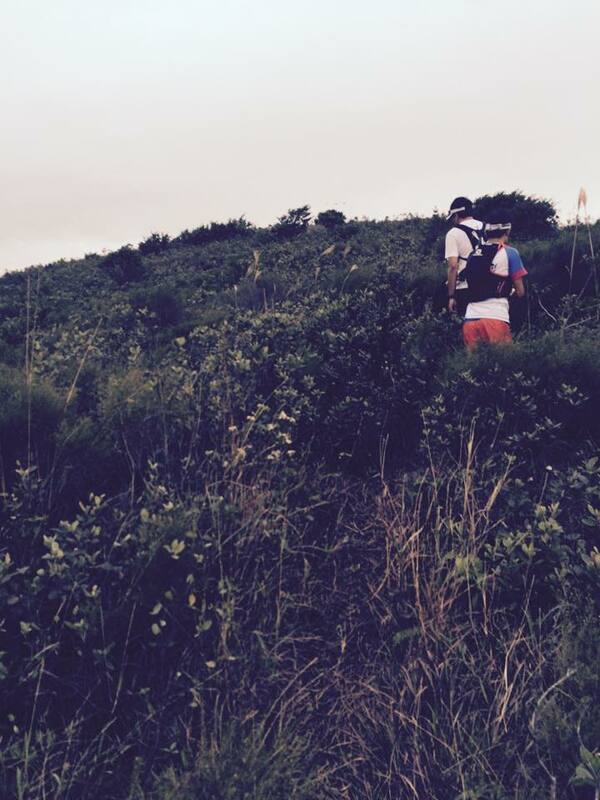 She declared herself as DNF after running and hiking on the course for about 14 hours. 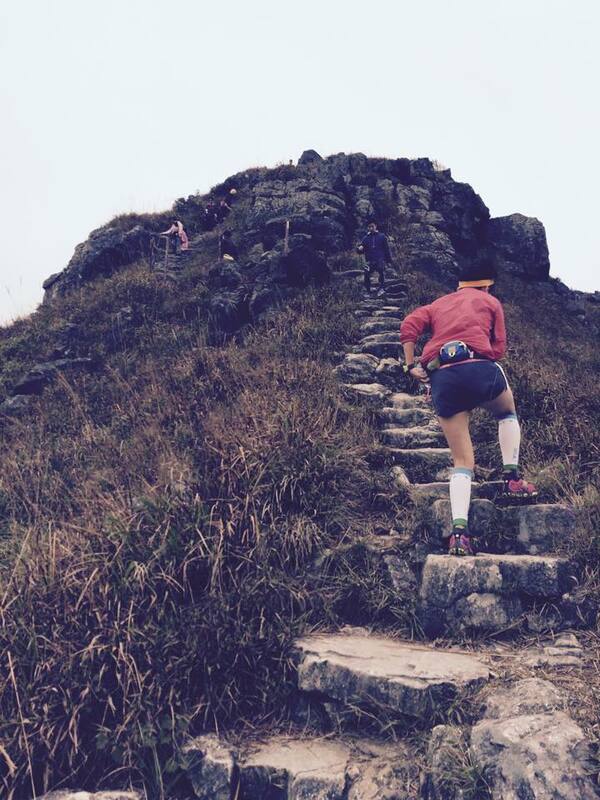 She was not able to complete the 100K MacLehose Trail course. 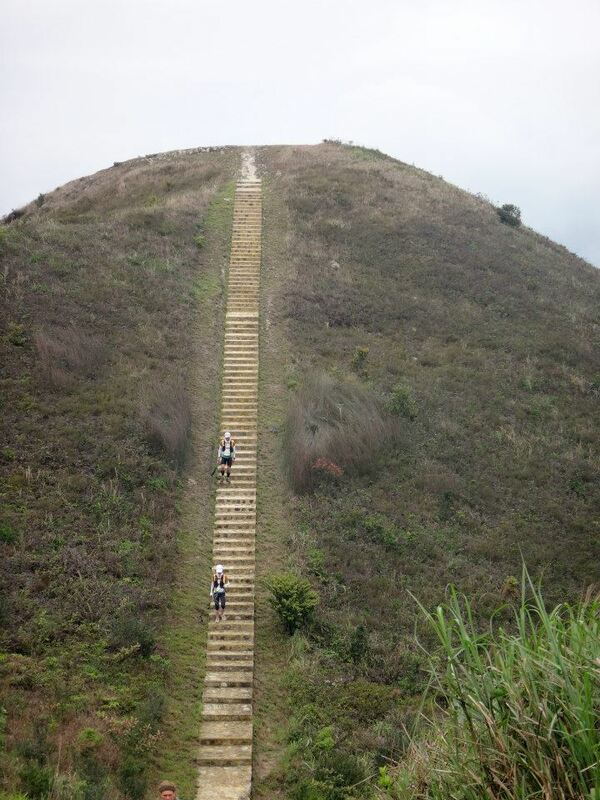 Jag Lanante and Paul Wong finished the MacLehose Trail together with a time of 21:30+ hours. 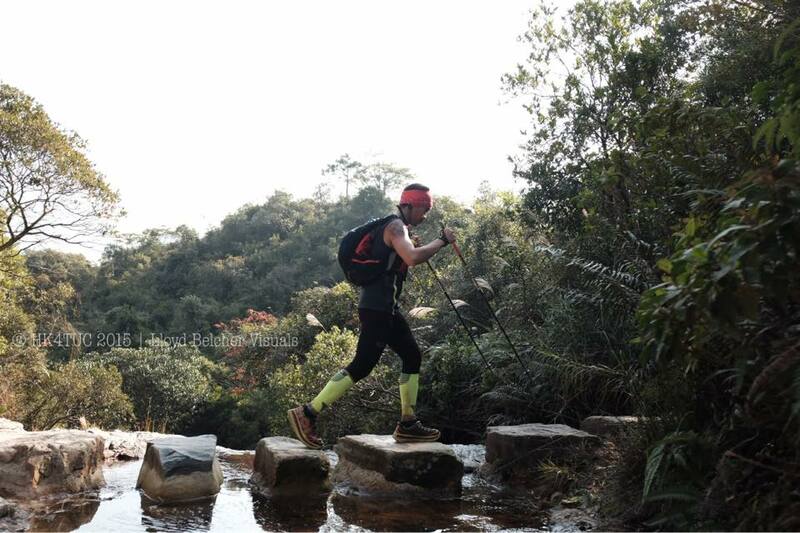 The last runner, Janelle Seet finished the 1st trail leg in less than 27 hours but she was already complaining of blisters which made her to register a slow finish time to complete the first trail course. Jag and Paul were together in their land transport (Taxi Ride) to the next staging area for the 2nd trail course which is the Wilson Trail, a distance of 78 kilometers. They were able to take a nap while being transported to the starting area of Wilson Trail and that was equivalent to a 45-minute power nap! 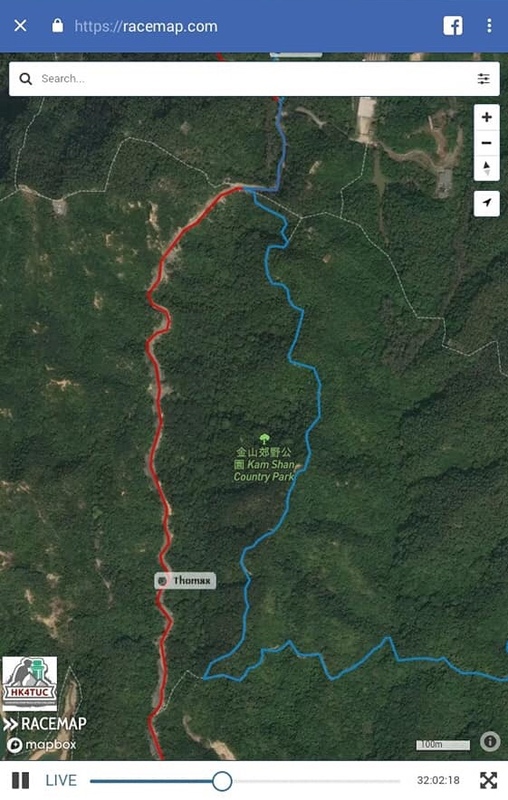 After being served with Hot Soup and some foods at Nam Chung, Jag and Paul started together for the 2nd trail leg, Wilson Trail. 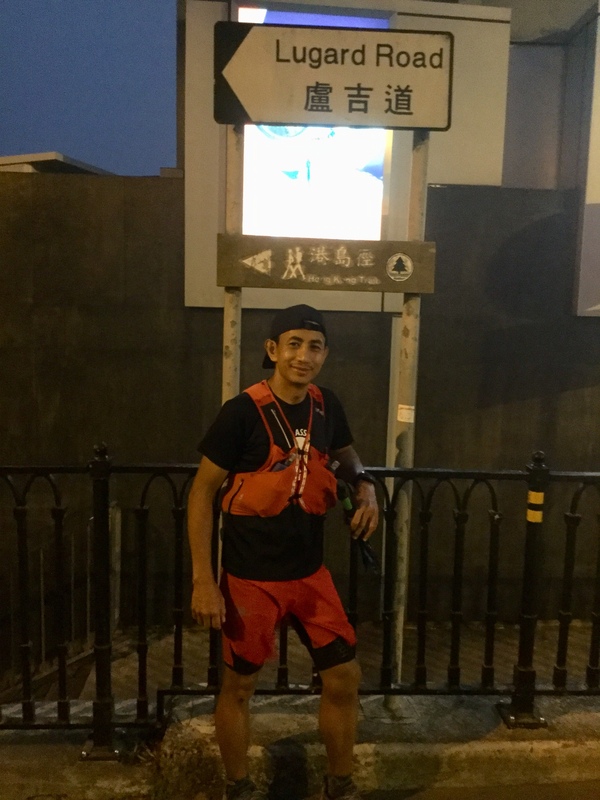 However, being a local runner of Hongkong and thorough knowledge of the trails, Paul Wong started to run faster than Jag Lanante that resulted him to pull away for the lead starting at Pat Sin Leng and finally finishing the Wilson Trail in less than 50 hours. He was already on the third day and barely 10 hours more to go before the cut-off time. What happened to Jag Lanante after Paul Wong left him on the early start along the Wilson Trail? 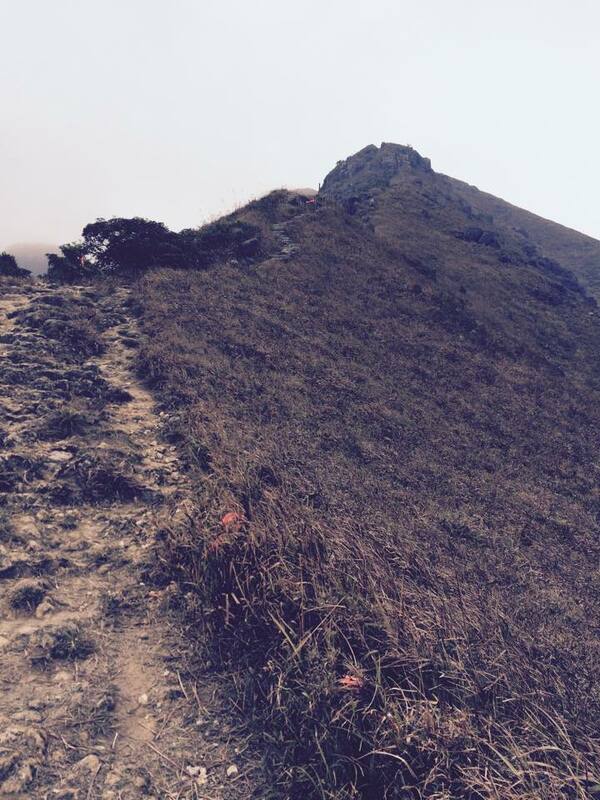 Jag would tell me that he got at least, two “lost moments” at the Wilson Trail——the first lost moment was when he was left alone by Paul when it was so cold and was sleepy to be more focused on looking for the trail markers. 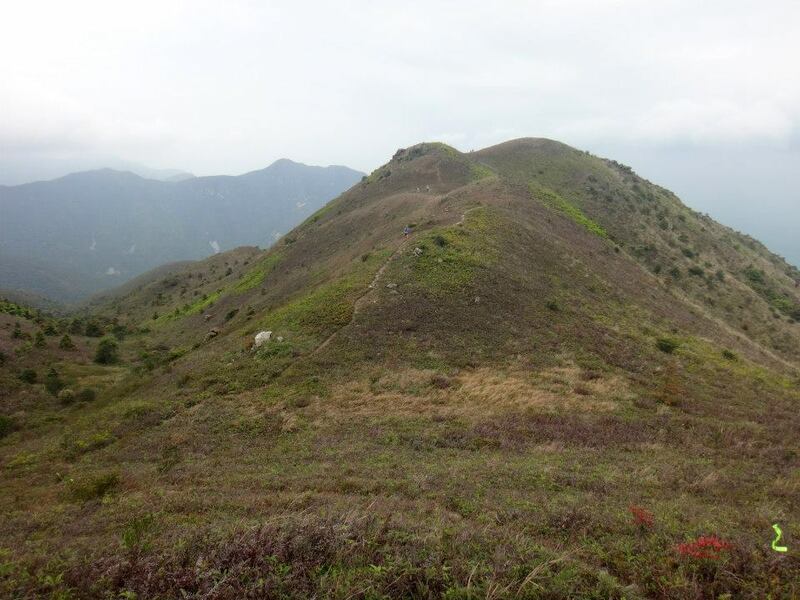 He missed the trail marker in going to the 8 Immortals of Hongkong as he was “sleep walking” for 2 hours going down along the trail only to realize that he could no longer see any trail marker. 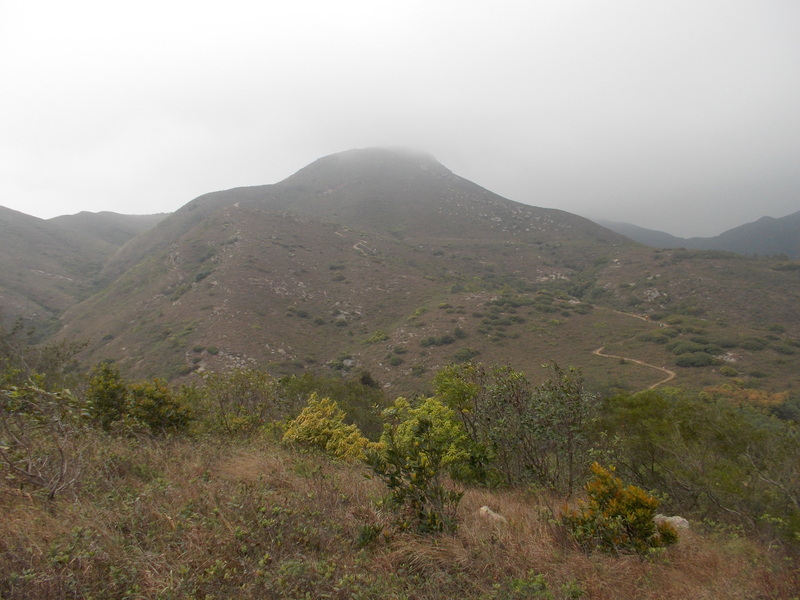 He would go back up again to finally locate the trail marker; the second lost moment was when he reached Taipo (village) as he could not determine from the map provided by Andre as to where the Wilson Trail would re-start again after hitting the village. 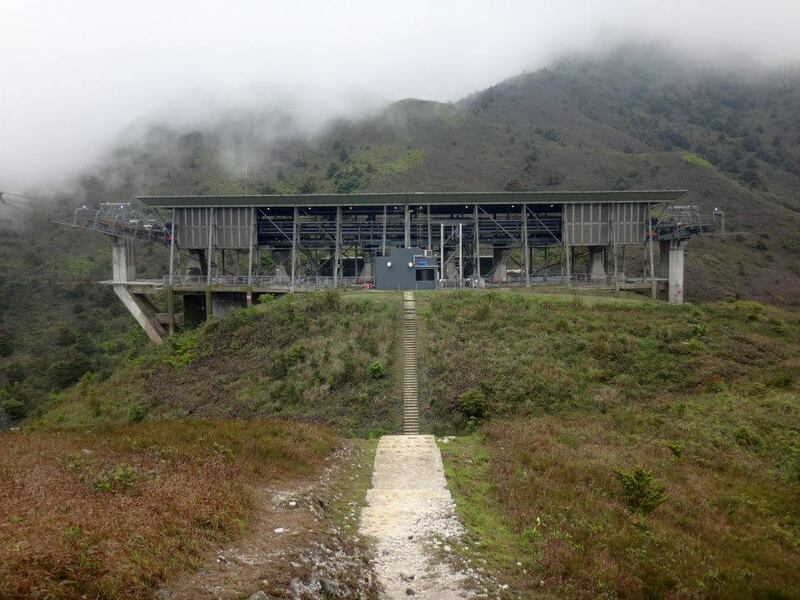 Jag’s problem was exacerbated when he impulsively asked a Chinese lady who can speak and understand a little English as to where the Wilson Trailhead is located. Jag was instructed by the Chinese lady to go to the end of a river but Jag was frustrated to find out that the lady gave him a false/wrong instructions. Jag started to panic as he went going around the village trying to find out where the Wilson Trail Marker is located. He tried to compose himself, prayed, and relaxed at the same point/location where he entered Taipo. 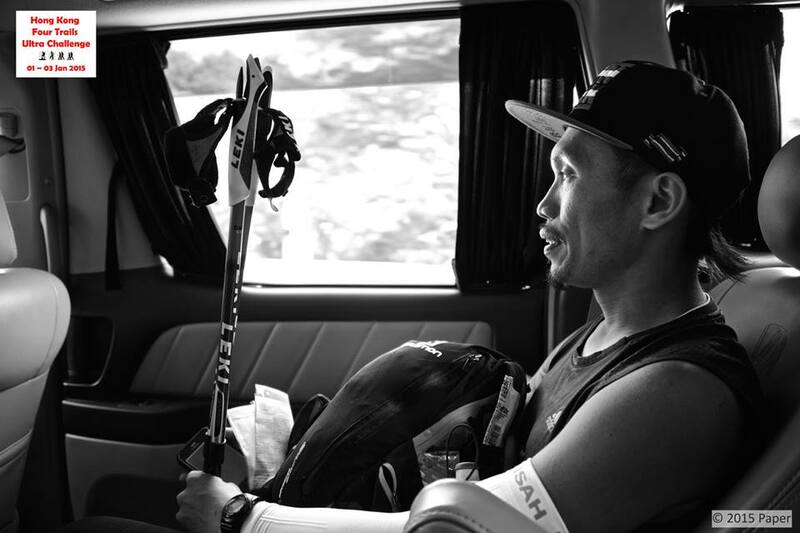 He decided to wait for the arrival of the last runner, Janelle Seet, knowing that the lady has a lot of friends cheering her along the route who are familiar with the route. Finally, Jag joined Janelle for the final push to finish the Wilson Trail leg. Jag’s total “lost moments” time would add up to almost 7 hours! Jag and Janelle finished the Wilson Trail in 54 hours or 2:00 PM actual time on the third day! 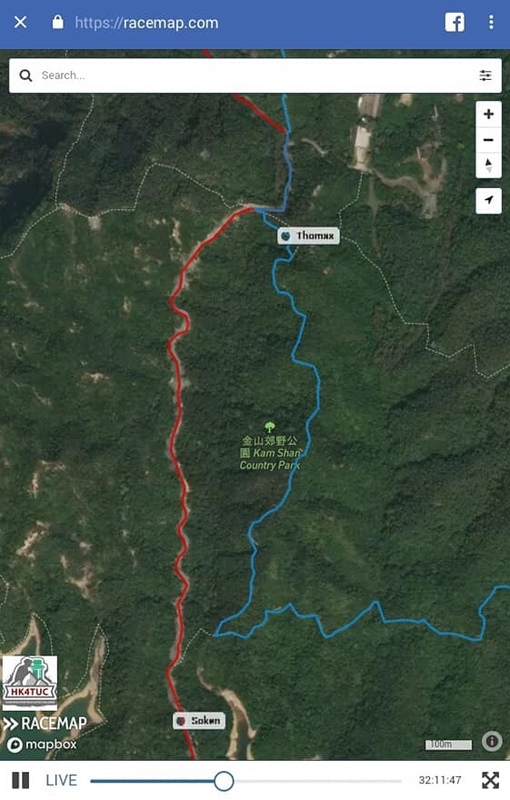 The transition or travel time from the “finish line” of Wilson Trail to the “start of the Hongkong Trail (3rd leg) is very brief/short as both locations are very near to each other. 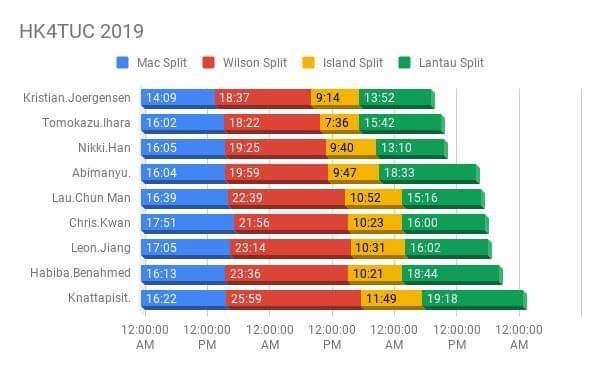 Paul Wong was already ahead despite of the 10-hour remaining time before cut-off time and Jag and Janelle were barely on a 6-hour time before the cut-off time. 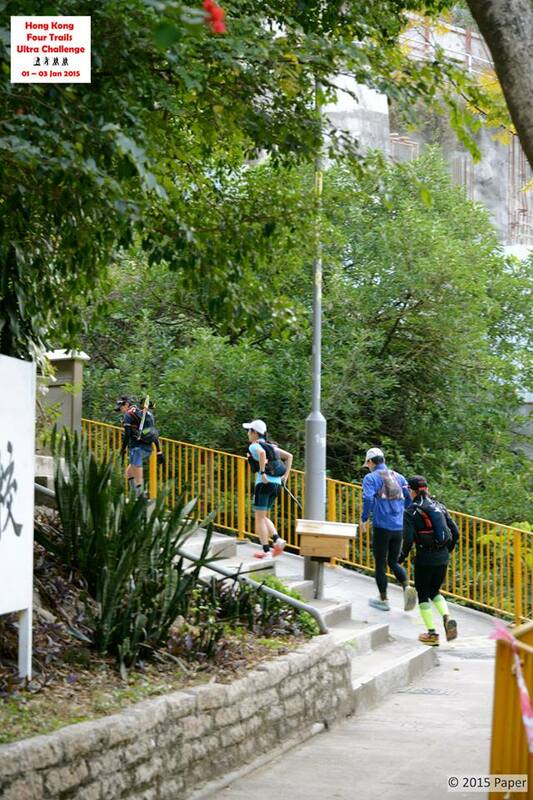 All the remaining three runners decided to still push through with the event but it was already a “Survivor Challenge” as to who would last to finish the event and be able to kiss the green Mail Post in Mui Wo, Lantau Island. 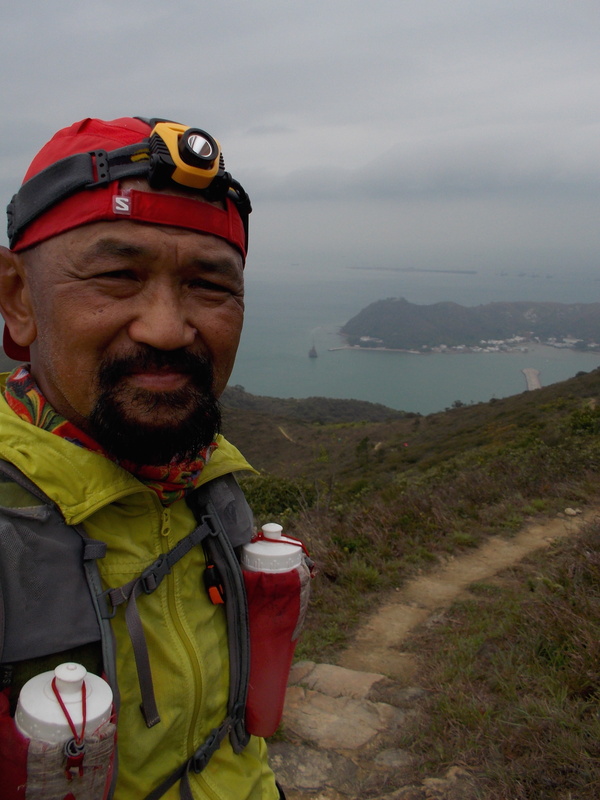 Obviously, Paul Wong was the first runner to start the Hongkong Trail and he was leading for some hours. Jag Lanante and Janelle Seet started later for the 3rd leg of the event. 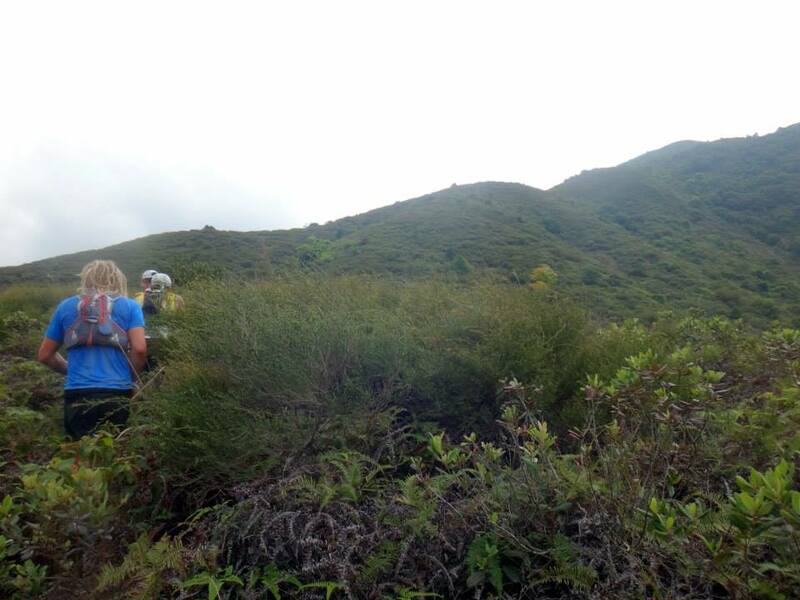 From the very start of the Hongkong Trail, Janelle had to beg off and allowed Jag Lanante to get ahead of her. Jag regained some energy despite numerous and countless “low moments” after finishing 178 kilometers with a very small amount of time to rest and sleep. 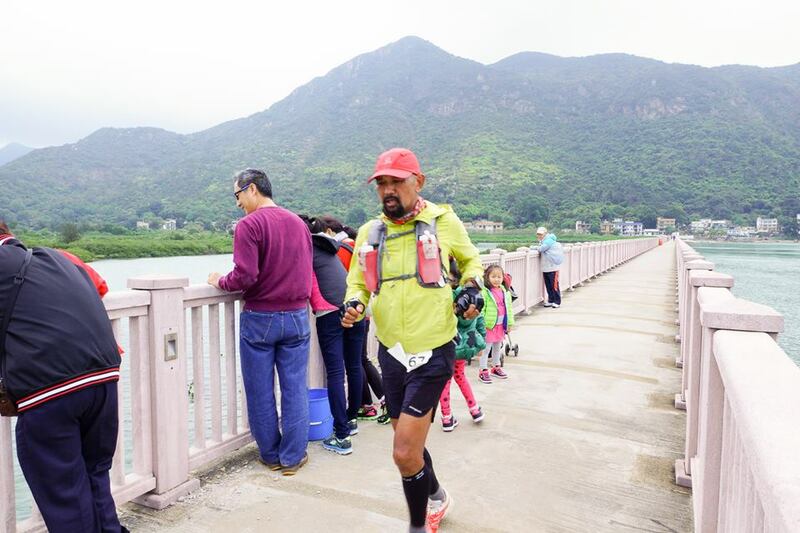 He was determined to finish the event but he has to reach Victoria Peak and be able to catch up the earliest ferry ride to Lantau Island for the last 70K of the event. 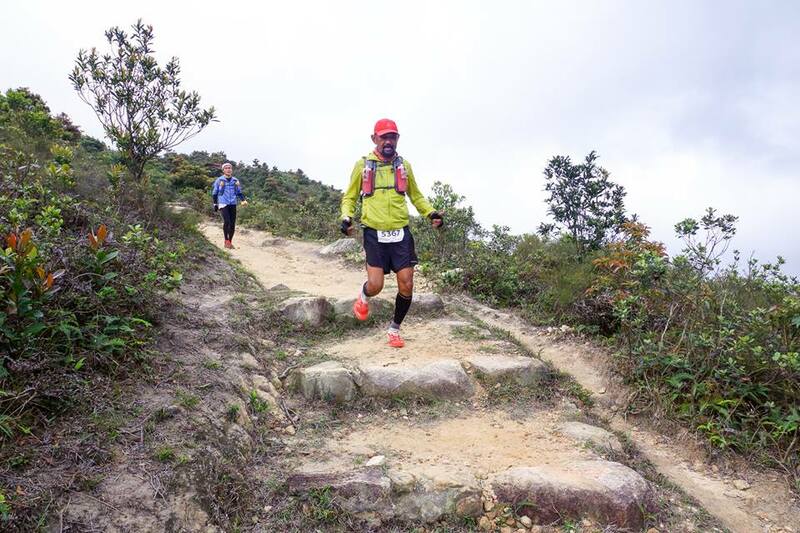 It was only when he was on the last 6 kilometers of the HK Trail course that he knew that he was already the leading runner among the three “survivors”. 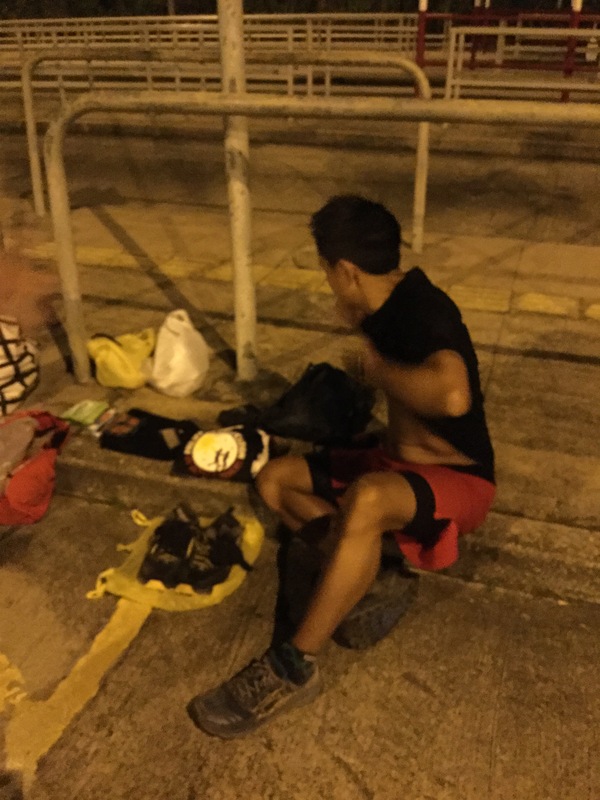 He was met by Vic So (2014 HK4TUC Finisher/“Survivor”) along the course to cheer him and informed him that he was able to pass Paul Wong at Km #25 when he went inside a market to eat. 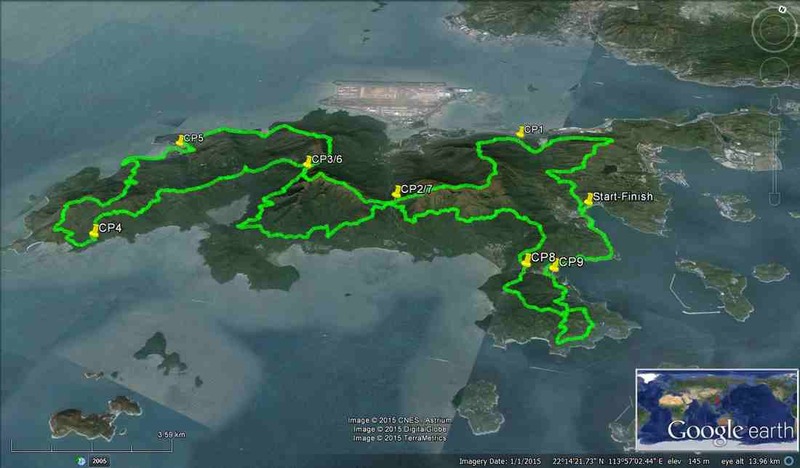 Jag finished the HK Trail at Victoria Peak before midnight on the third day and he was able to catch the ferry ride scheduled to leave HK for Lantau at 12:30 AM/Midnight on the 4th day. 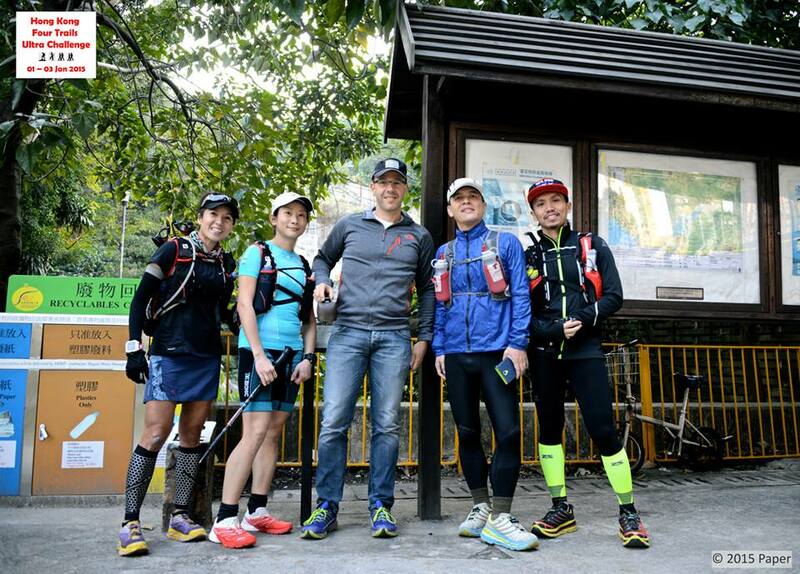 Paul Wong arrived at the Victoria Peak at 1:00 AM of January 4 while Janelle Seet finished the HK Trail later in the evening. 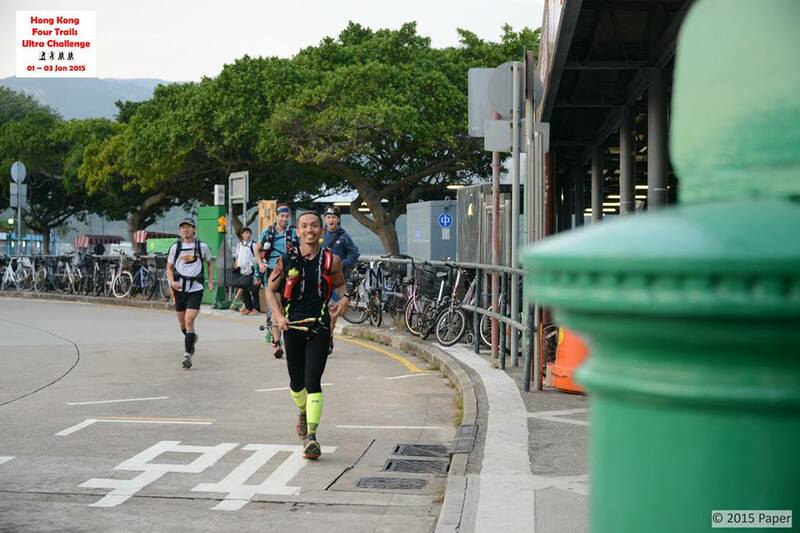 Unknowingly from Jag, the two runners finally decided to “throw the towel” and cease from taking the ferry ride to Lantau. The reason? Extreme exhaustion and sleep-deprived conditions! 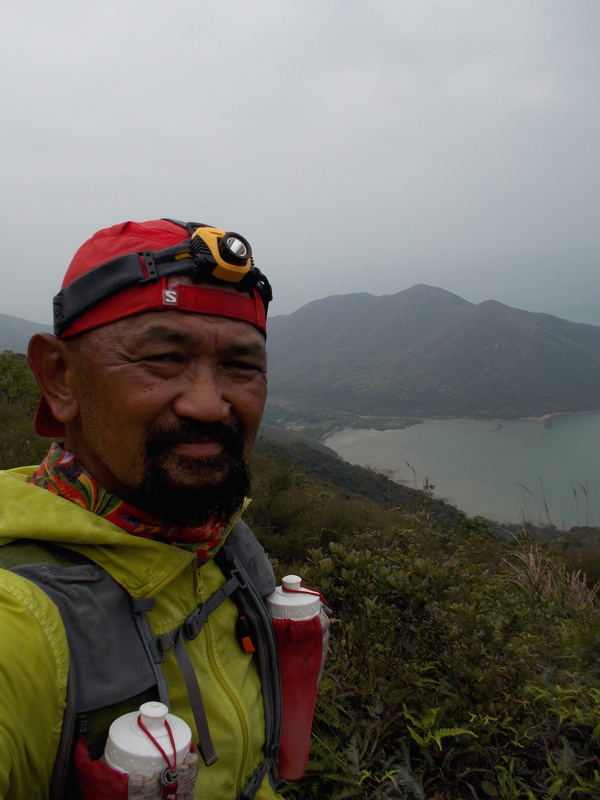 Jag Lanante was able to know that Paul Wong and Janelle Seet finally decided not to push through with the Lantau 70K leg from Andre Blumberg who escorted him to Lantua Island. The information was sent through Andre’s cellphone. 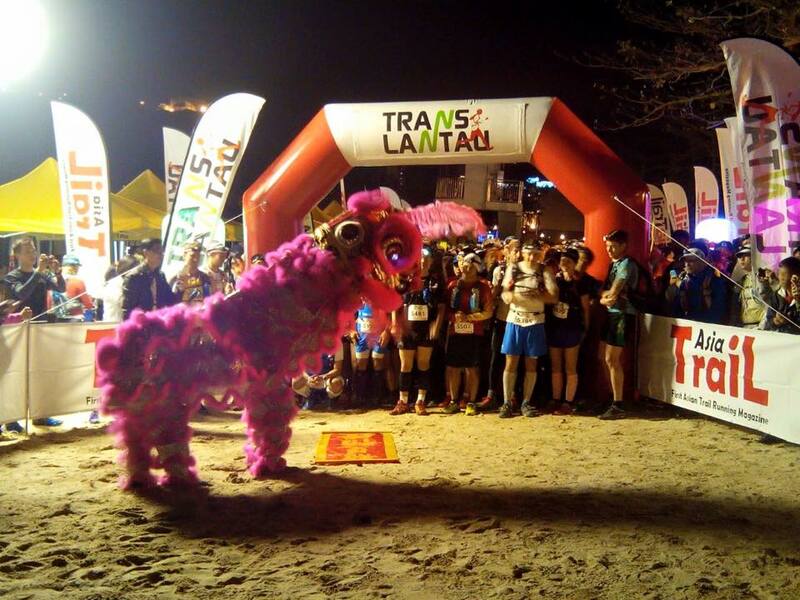 Jag had already spent 65 hours since the start of the event and he was on the starting line for the Lantau 70K leg! I was thinking that Jag was able to sleep during those transition/transfer trips from one leg to another but I was wrong! He told me that he was able to sleep for three times only——first was at the end of Km #33 along the Wilson Trail when he slept while waiting for his order in a Noodle Shop/Eatery; the second one was during the 30-minute ferry ride from HK to Lantau Island; and the third one was a 5-minute nap he requested from Andre while he was experiencing some leg cramps at the Lantau Trail. Knowing that he was the ONLY runner left in the event and way, way beyond the cut-off time of 60 hours, he asked Andre if he is still be a part of the event and considered as a Finisher in the history of the event. 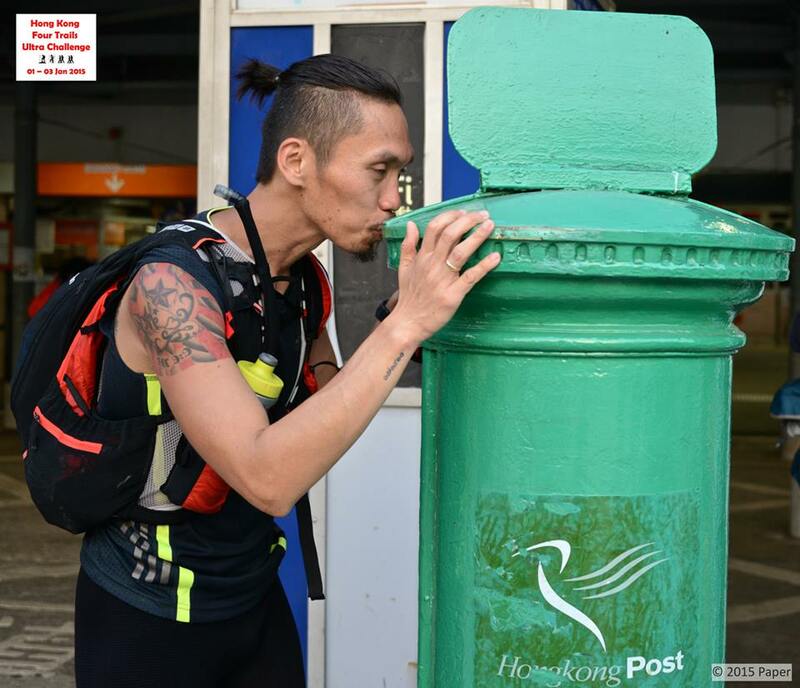 Andre would reply him that this event is not a race and therefore, there are no DNFs, however, if he decides to survive and finish this event, he will get the much-needed support from him no matter how many hours would it take him to reach and “kiss” the green Mailing Post at Mui Wo. 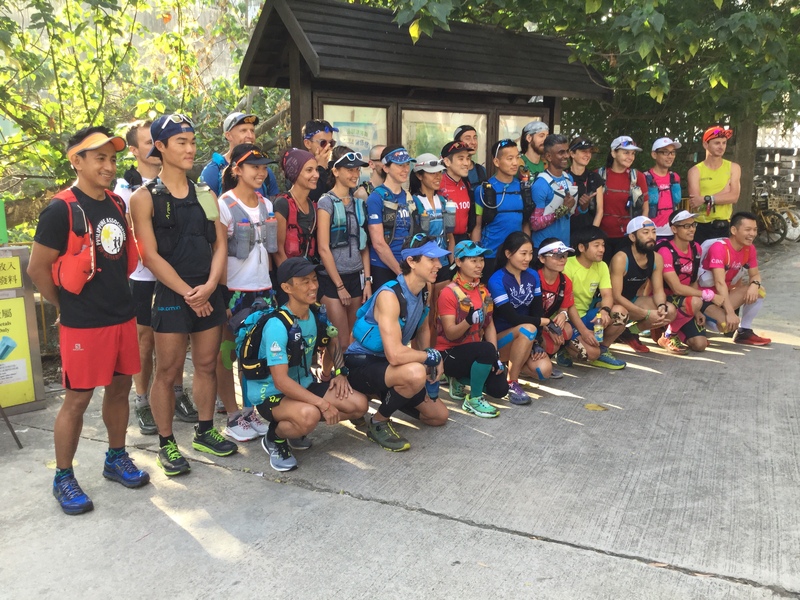 Paper, the wife of Andre who is a Thai, informed Jag that the his co-workers in Bangkok are rooting for him to finish the event as he unknowingly seen the cheers and words of encouragement posted by his friends in Thailand through the HK4TUC Facebook Page. These words of encouragement from Andre and Paper drove and fully motivated Jag to finish the event. 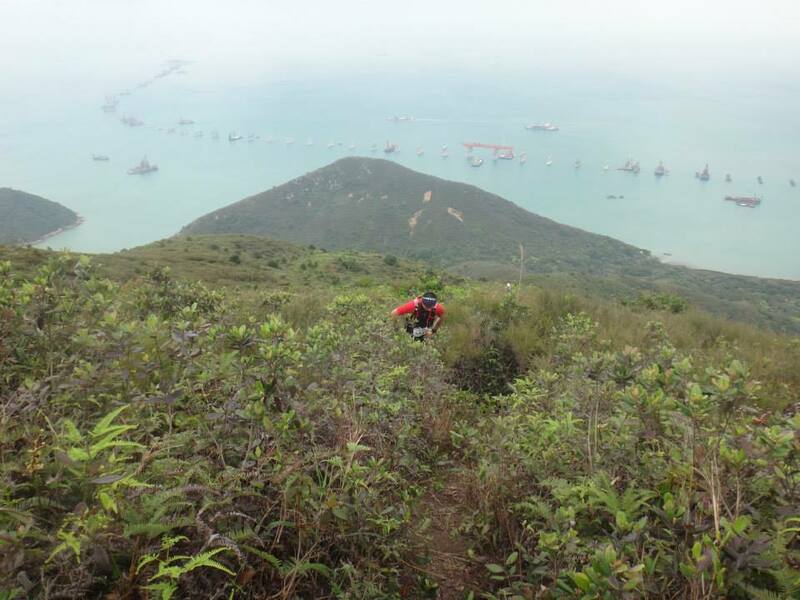 Lantau 70K Trail Course is a hard one with 3,300 meters of vertical gain, Jag has to be focused and be able to endure the pain, exhaustion, hallucinations, sleep deprivation, blisters, distractions and there is no room for him to get lost along the course. He has to finish this event. But there is a more pressing situation and uncompromising reason for him to finish the event! He and his wife have to catch a flight back to Bangkok and he has only 19 hours before his plane leaves at 8:00 PM on the evening of January 4! He thought, at all cost he has to be in that plane with his wife no matter what happens! Few Meters From The Finish Line! 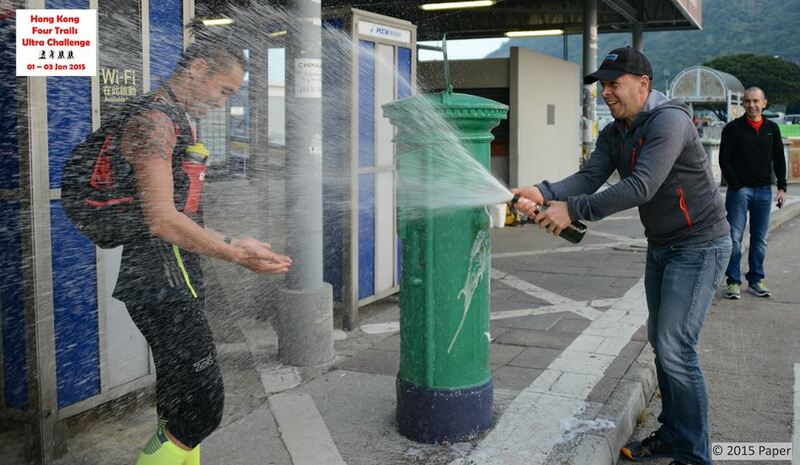 With pure grit and determination despite some doubts for him to finish the last 70 kilometers of the event, Jag was able to finally kiss the green Mail Post in Mui Wo with Andre waiting for him with a Champagne Victory Spray of Moet Rose that served as an informal “body shower” to mask the smell of dirt and perspiration from Jag’s body before proceeding to the Airport. 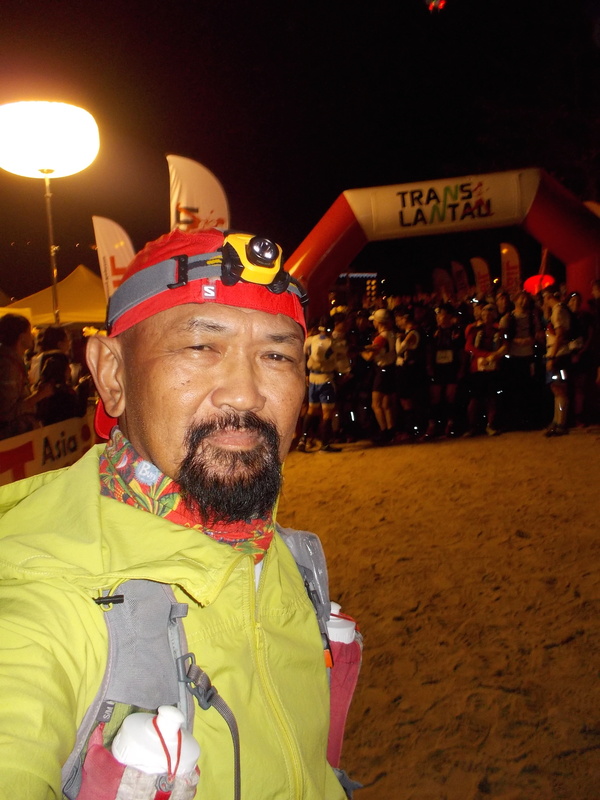 Jag finished the Lantau 70K Leg in 16:30 hours which was in actual time at 5:30 PM of January 4, 2015, 4th day of the event, finishing and surviving the whole event with an official time of 81:30 hours. After a quick informal conversation/congratulatory greetings and picture-taking among the runners and the RD’s team friends and volunteers, a taxi was waiting for Jag and his wife to bring them to the Airport in order to catch their flight back to Bangkok scheduled to leave at 8:00 PM that evening. I am sure that the 3-4 hours flight time from HK to Bangkok was the best sleep that Jag experienced in his lifetime! 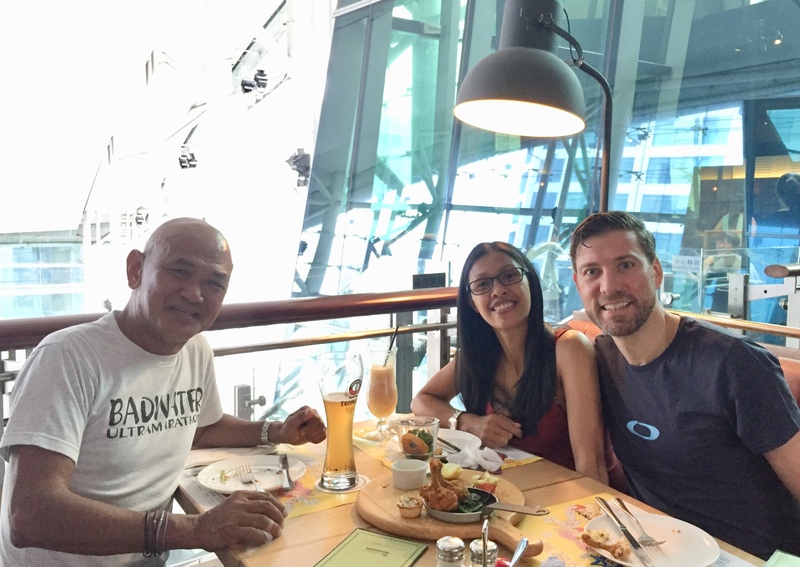 After making sure that Jag had fully recovered from his “brutal but inspirational” finish at the 2015 edition of the Hongkong Four Trail Ultra Challenge, I sent him a Personal Message on Facebook to congratulate him for being the “FIRST Pinoy Ultra Runner to Finish” the said event. This Facebook conversation led me to ask some questions about him and his experience during the event. 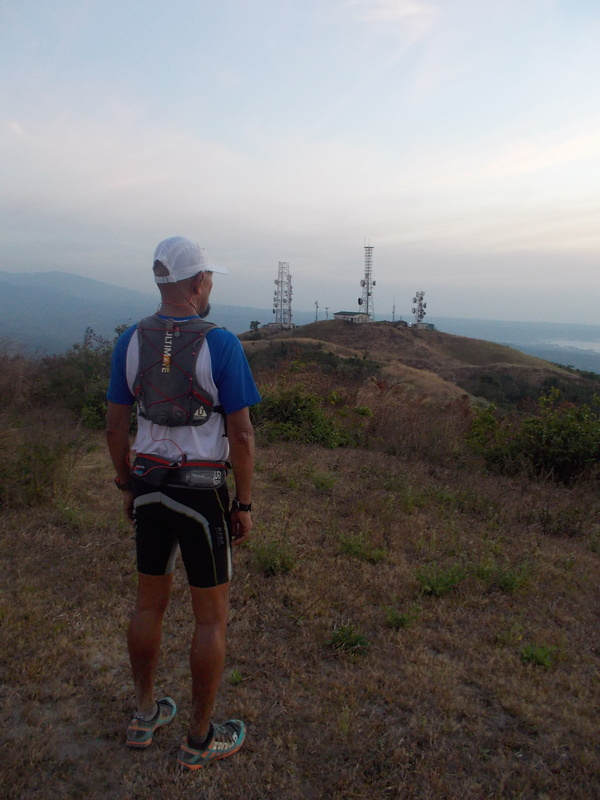 Thus, this story is posted as an inspiration to all the readers of this blog, most specially to our Pinoy Ultra Runners. To answer the mystery on the toughness, pure grit and determination of Jag to finish the event as I am not convinced that his one year training on a “flat, plain and boring” loops in his Hospital’s Parking Area and Bangkok’s Public Park prepared him for the event. 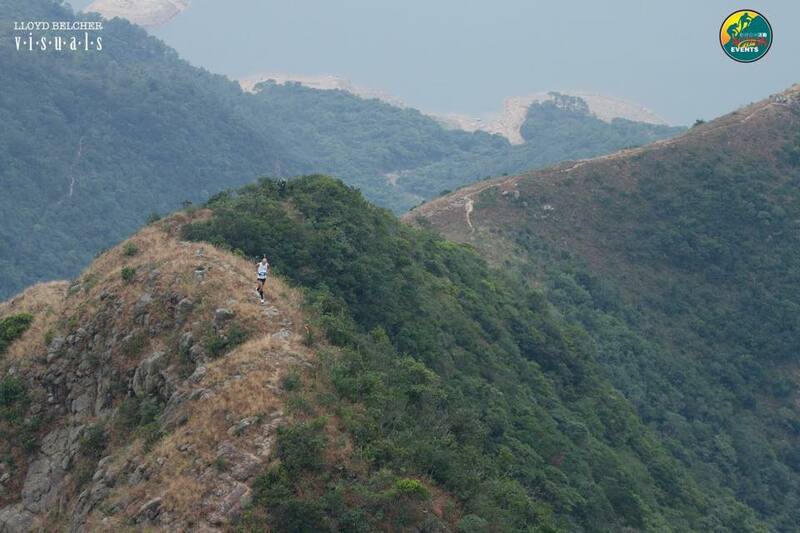 There could be more information about this humble and ever-smiling runner as to why he has a “strong heart and a positive mental attitude” to finish this most feared ultra running event among the locals of Hongkong and other ultra runners in nearby Southeast Asia, despite the fact that the event is free; a chance to tour the nice scenery of Hongkong on foot; and a good reason to shed off those accumulated calories brought about by the Holiday Season. 1. Jag is 29 years old, a native of Davao City and had been an OFW as a Nurse in Bangkok, Thailand for so many years. He started to train and run for the past 4 years. He is married to Kathleen Faith who works also in the same hospital with Jag. They don’t have any kids. 2. He finished his primary and secondary schoolings in Davao City but decided to finish his BS in Nursing at Mountain View College in Bukidnon after his parents would not allow him to be admitted to the Philippine Military Academy (PMA). His best finish time for a Marathon Race is 3:10+ hours which was held on his Birthday, four months after his Boss introduced him to running. 3. 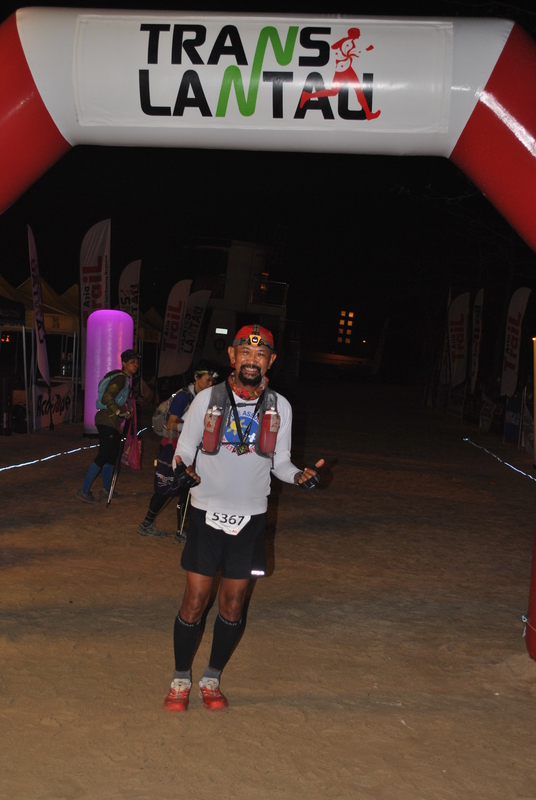 His first ultra was the 2013 TNF 100 but four months later, he finished as #10 in a 50K trail run event, both were held in Thailand. And since then, he tried his best to run everyday and prepare for the HK4TUC. Lastly, I would ask him what would be his next ultra race. 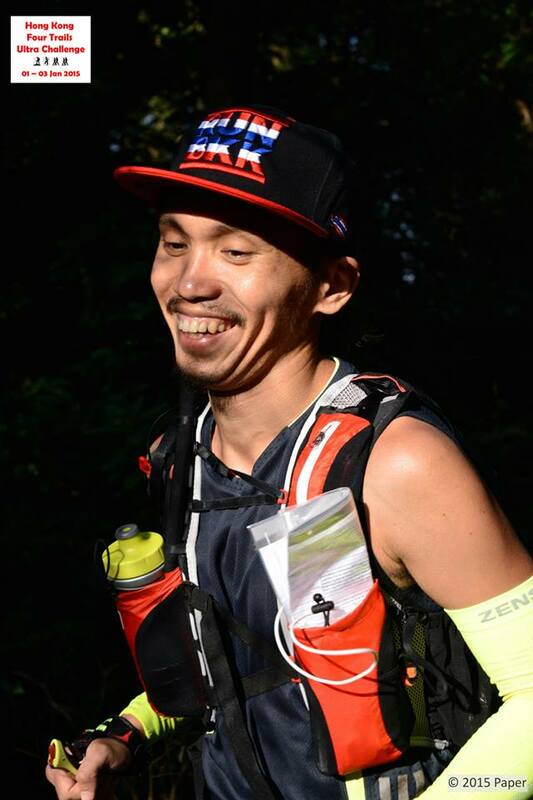 He replied to earn his FIRST 100-Mile Buckle in one of the ultra races in the Philippines if his work schedule’s leave would match the scheduled date of his choice of event. But he gave me a 100% assurance that he will be back for a repeat with a better performance at the 2016 edition of the HK4TUC. 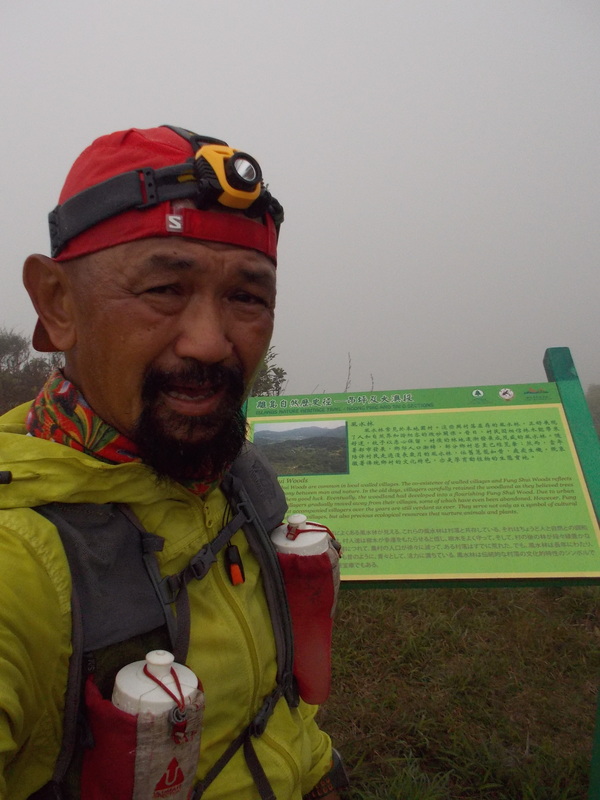 I replied back to him immediately, “It will be a honor running with you on the First Day of 2016 HK4UTC on the early miles of Stage 10 of the MacLehose Trail!” His silent answer is depicted on the picture below! 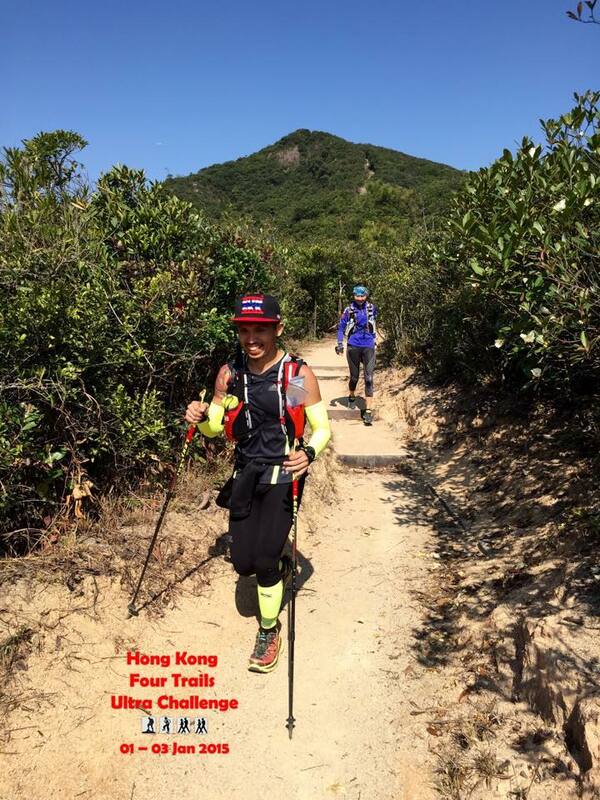 Congratulations Jag, the FIFTH Finisher in the history of the Hongkong Four Trails Ultra Challenge!!! My snappy salute to you and from the rest of the Pinoy Ultra Runners here in the Philippines and abroad!